This penetration route enters Galicia from the Leonese area of O Bierzo. This fact is historiographically relevant since until now the only Roman military sites detected and excavated in Galicia were two forts (A Cidadela, Bande) belonging to later periods of the early Roman empire. Five camps can be directly linked with this military route, being placed four of them in the Galician province of Lugo and the other one in O Bierzo (León). This last enclosure, named Serra da Casiña, is located in Valboa –close to Villafranca del Bierzo-, over a hill controlling a traditional Access way to Galicia. f it fulfilled its strategic, tactical or logistical needs, the Roman army could select a particular place and use it recurrently during the events of one or more military campigns. Some examples of this behaviour have been previously attested in the Península (Herramélluri –La Rioja-, Sasamón –Burgos-). A Chá de Santa Marta, between Láncara and Sarria, is an unique archaeological complex in Galicia since it comprises at least three possible Roman camps. They are located over a hill precisely at the point in which the landscape softens after we go the mountainous areas of León and Gaicia. Is it’s a reliable possibility that this place acted as a logistic axis or a regrouping point. The camp of Monte dos Trollos (0 Páramo. Lugo) is placed at a very strategic position, over a hill and closet o a natural ford of the river Miño. It is only 16 km away from A Chá de Santa Marta, a distance which can be covered in just a single day of marching. 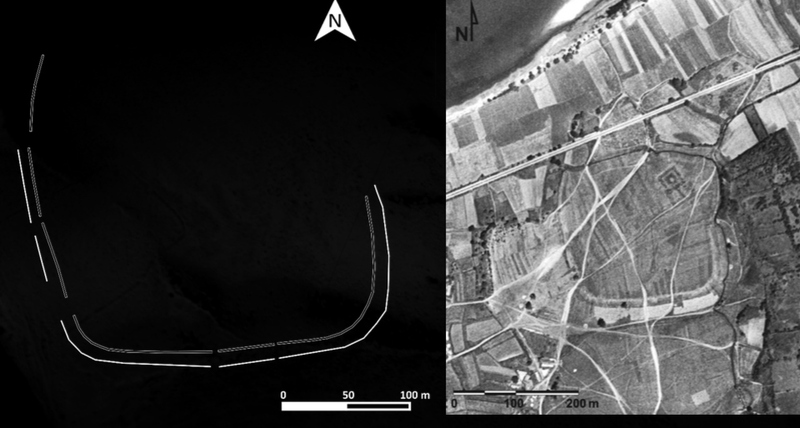 Two new roman camps were located in the westernmost area of Galicia, close to the Meridian Depression, a traditional route which crosses the coastal region from south to north. The camp of Cornado (Negreira) was presented some years ago and by now it is the most westerner Roman military camp of continental Europe. O campamento de Cornado (Negreira) dímolo a coñecer hai uns anos. É o campamento máis occidental, ata o momento, do continente europeo. The Roman camp of Campos was identified at the Portuguese bank of the river miño, close to the town of Vilanova de Cerveira. Unfortunately it was completely destroyed some decades ago due to the construction of an industrial park. At the present state of research, the apparent disconnection between Cornado, Campos and the other camps makes difficult to give an accurate dating or to define their precise functionality. The camps could be dated from the last stages of the late republican period to the first decades of the early empire. 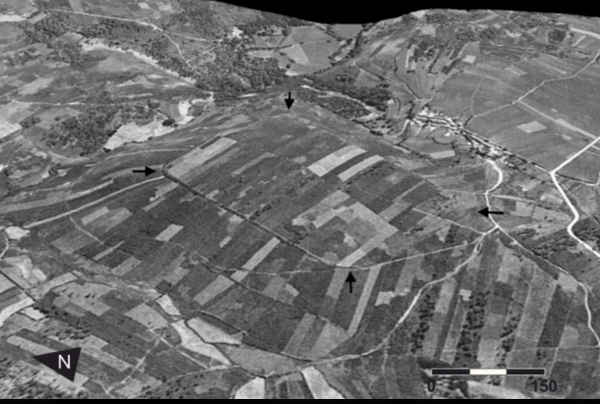 In any case, they are the only evidence of an early Roman military presence in the westernmost región of Galicia.